Okay, so I’m sure you’ve all noticed my obsession with bright colours by now… specifically clashing colours. Last weekend I purchased the NYX Vivid Brights Liner in Halo (I already own the green and pink liners) and knew I wanted to test this beautiful yellow product out by creating a contrasting, spring inspired look. 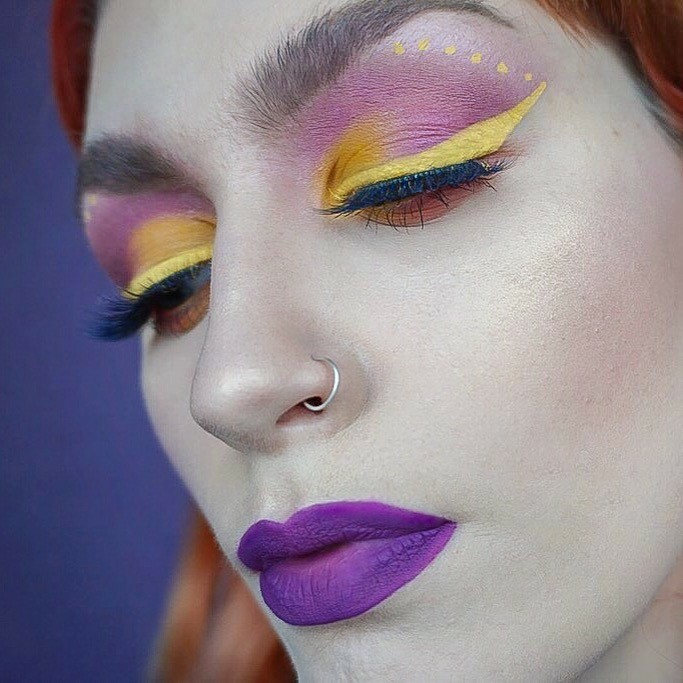 I’ve seen so many gorgeous looks across social media with a flawless blend of purple, pink and yellow tones – an unlikely but stunning combination, so it’s fair to say that I sourced a lot of inspiration from my favourite beauty influencers when creating this look. In all honesty, the look itself was pretty straight-forward to create; I simply applied a layer of pink eyeshadows, created a half cut-crease with concealer and packed a gorgeous yellow from the Urban Decay Full Spectrum palette onto the lid, then completing the look with a thick application of the NYX Halo Vivid Brights Liner (adding a few dots along the brow-line) and a pair of new dramatic falsies (Eylure x Katy Perry Color Pop – they have a fleck of bluey-purple through them). And obviously, I turned to my beloved Kat Von D Everlasting Lipstick in Susperia to add some extra warm depth to the look. But what did I think of the liner itself? 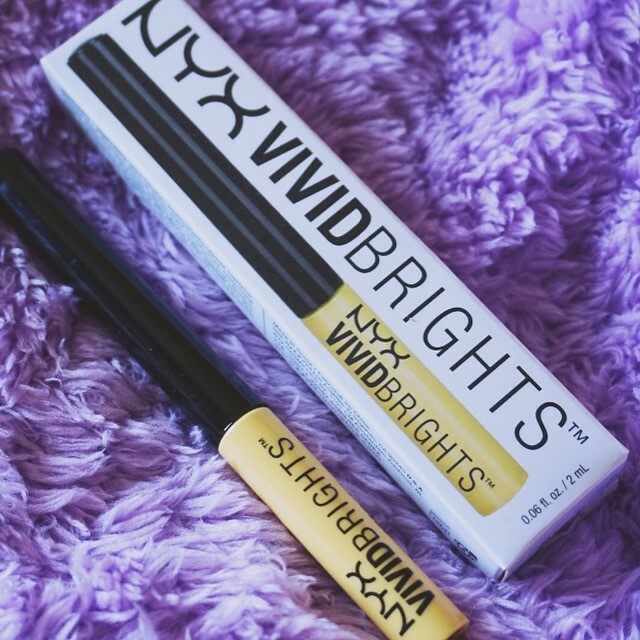 We all understand the struggles of the NYX Vivid Brights Liners… they produce a gorgeous pop of colour for an incredible price, but a lot of us experience the post-application ‘cracking’ (sometimes immediately). Try to apply the liquid liner as precisely as possible, layering the fluid whilst the formula is still wet and not allowing it to go tacky or dry. As soon as the first layer of liner sets, a second layer is just going to create a amateur, cracked appearance – so the trick is to stick to one application, and hopefully get it right the first time! Don’t worry, as they say, practise makes perfect… and I’m definitely still getting there! Wow, this look you’ve created is amazing! I get the same cracking effect but oh well, the colors are beautiful! I am in love with this look! I have never considered combining these two colors until now but I’ll definitely try it out in the near future!